This heartwarming story of a buffalo soldier’s service to his country during the Indian Wars and Spanish-American War reveals the many hardships these regiments faced. The African-American buffalo soldiers, nicknamed by the Cheyenne Indians because of their curly hair and bravery, joined the six black regiments commissioned by an act of Congress in 1866. These men, many of whom were former slaves, enlisted in the army to earn a steady income, acquire an education, and gain respect. They protected settlers from hostile Indians, rustlers, outlaws, and bandits and were known for their courage and dedication. 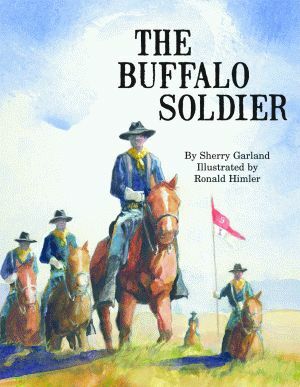 Told through the soldier-narrator’s voice, the details of one buffalo soldier’s life, including what he ate, where he slept, the education he gained on and off the battlefield, and how he spent his hard-earned money, help create a personal and understandable slice of history. The author of more than twenty-five books, Sherry Garland writes of history and interesting people. 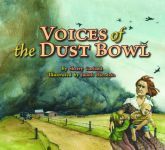 Her children’s historical picture book, Voices of the Alamo, complemented by Ronald Himler’s vibrant illustrations, earned rave reviews for its understandable and personal story line. Best Horse on the Force, a middle-reader novel, is featured on numerous recommended reading lists in schools and libraries. Garland received her bachelor of arts degrees in French and English from the University of Texas at Arlington. She and her husband live in Bryan, Texas. Ronald Himler has been illustrating children’s books since 1971 and has over eighty books to his credit. 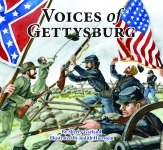 His work has received such honors as the ALA Notables, the Society of Illustrators Silver Medal, and citations on the Texas Bluebonnet Award Master List.
. . . nicely written account of the life of a black man after the Civil War. . . it will teach children more than history. Himler's vibrant illustrations capture the broad vistas of western landscape, the excitement of horseback pursuit, and the hardships of the work. . . this is an excellent introduction to a sometimes-overlooked part of American history.